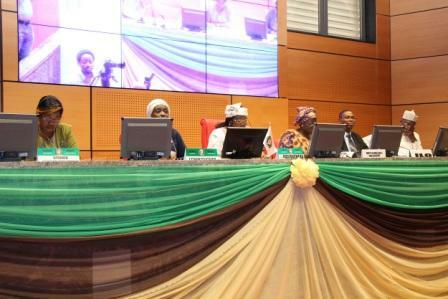 MINISTERS responsible for children affairs from member states of the Economic Community of West African States, ECOWAS, made a political declaration and took a common position against child marriage during a meeting which witnessed them adopt the ECOWAS Child Policy and its Strategic Action Plan (2019-2023). The declaration was made by the regional ministers on January 25, 2019 in Abuja, Nigeria where they resolved to promote the retention of all children in formal and/or alternative quality education systems up to the age of 18 in a compulsory and progressively free manner. 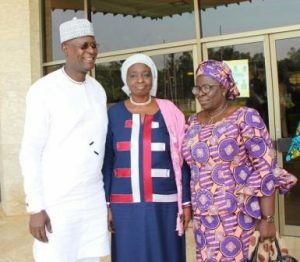 The ministers urged the inclusion of gender-sensitive educational policies and programmes that address issues of gender stereotyping, gender-based violence and child marriage. 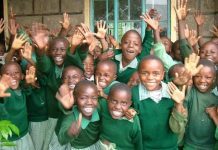 This they stated will not only improve the lives of children in the region but also create an enabling environment for the development of economic opportunities. In order to ensure that the rights of children are protected, the ministers stressed the need for cooperation on all levels (regional/national) to mobilise financial and technical support for planning, implementing laws and policies, monitoring and evaluation, as well as accountability for measures taken to end child marriage. Siga Fatima Jagne, the ECOWAS Commission’s commissioner for Social Affairs and Gender, in her remarks during the meeting, reiterated the Commissions’ commitment to prioritising, mobilising and allocating the necessary resources to address the multi-faceted issues affecting children in West Africa. The commissioner stated that child marriage is a good example of problems that still persist in West Africa. 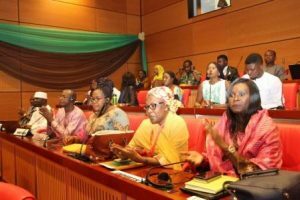 “Available data shows the prevalence of child marriage in ECOWAS to be about 42%among girls and 3% among boys,” she said. Mohamed Fall, the representative of the United Nations International Children’s Emergency Fund, UNICEF, at the Ministerial meeting, enthused that, with the adoption of the ECOWAS Strategic Framework for strengthening child protection systems and the update of the ECOWAS Child Policy, ECOWAS is emerging at the forefront of African institutions that promote and protect the rights of the child. 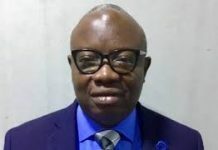 Also, David Doukenoo, the representative of the International Labour Organisation, added that all West African governments can develop and implement national action plans to end child labour and child marriages as well as support girls who are already in forced marriages.